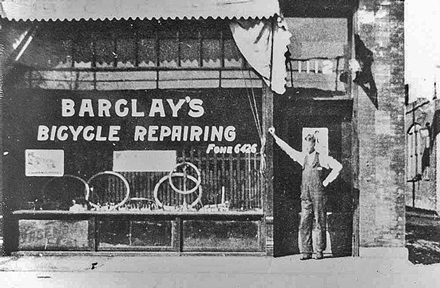 At Barclay’s death on July 7, 1940, his photo collection numbered about 1,000. Today, much of it resides in the photo collection of The Historical Society of Oak Park and River Forest. To see more examples of Barclay's photographs, visit our photo store. These photographs are available in higher resolution, suitable for publication and private use. For further information about fees and permissions to use these or other pictures in our collection for electronic or print publication, contact the Historical Society.